So you have always wanted to be your own boss and have decided that owning a franchise is the right move. And you know you want it to be in Philadelphia. That’s definitely a good start, but do know what franchising opportunities in Philadelphia are right for you? You still have a lot of research ahead of you to determine which franchise is right for you. There are many factors you have to look at including upfront costs that you will have to pay and which franchisers have the best management structure and support system to ensure your success. Before you even start approaching any franchisers, you will need to ask yourself a couple of questions about why you want to do this, and what role you plan on taking in the business. Is this to increase your wealth, allow you a more flexible schedule to be home more, or to grow your business portfolio? Also you need to decide if you want to be a hands-on business owner who is involved in every part of the daily operations or will you be depending on your staff to handle that. In addition, you should make a list of restaurants whose food you love and whose basic values you share. If you are going to invest in a restaurant than you should personally believe in their product and their commitment to the customer experience. Startup costs for a franchise can run the gamut from only a couple of thousand dollars to millions of dollars so you need to look realistically at what your investment budget should be. Experts suggest that you factor in what your income is from other sources, what you expect your return to be from the franchise and your general lifestyle habits. If you tend to have expensive tastes, then you will probably not want to enter into a venture into a business dealing where most of your money is put on the line. Being brutally honest with yourself is paramount if you want to succeed in the franchise restaurant business. While it is not necessary to have a MBA from Wharton, you do need some business skills and knowledge to start a business. From spotting out the right location to training staff and managing the finances, there are certain skillsets you will need, and unfortunately, you can’t rely on instinct alone to run your restaurant. This doesn’t mean, however, that only those with prior industry experience will succeed. You must just make sure that whatever skills or experience you lack going in, the parent company will provide the proper training for. Also, it is important that you are engaged in the franchise and are always looking for new ways to only increase your sales, but also improve the customer experience. Other things to consider also are what type of food you want to sell. If your goal is to focus on healthy-living or offering only organic products, then you will want to choose a parent company that also shares those values. You never want to go into any business dealing blind so it is important to hire a legal advisor who can help you decipher any legality complexities and assist you in contract negotiations. Make sure that both you and your advisor also review any litigation that your potential franchise options may have been involved in. Don’t just look for current litigation though. Research them thoroughly to see if they have any bankruptcies or court cases in the past as well. Any parent company with a string of problems in the past might not be the best choice. Once you have completed your initial research and have a legal or financial advisor on board, you will want to narrow down your choices to the franchises that seem like the best fit. With that checked off your to-do list, it is now time for the hard questions. Any lingering concerns that have popped up in your initial query should be addressed now. You should also ask for a list of references that you can call. 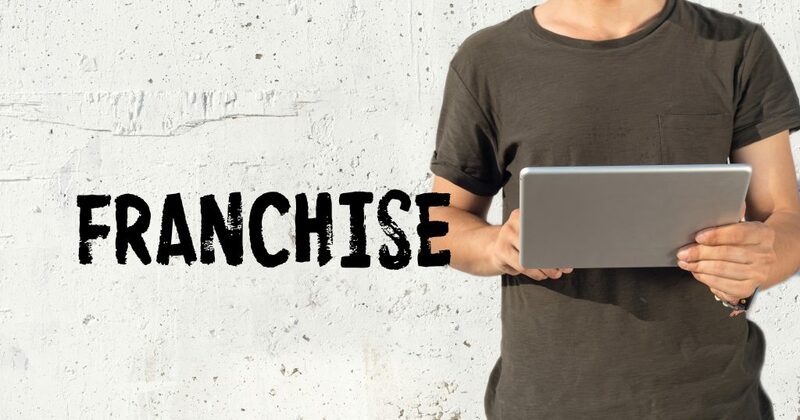 Other franchisees can give you an inside scoop on what it is really like to own a franchise with this parent company. The more you know about a potential franchiser, the more confident you will feel when making a decision. A food truck franchise is a great way to get into the franchise business. When you choose one like Zac’s Burgers, you still get the benefit of a strong brand behind you, but it is a smaller initial setup and investment. It is a good way to dip your toes into the franchise pool. You will get to learn the ropes while having to manage a smaller staff and smaller amount of resources. With a food truck franchise, you can also do special events and festivals either and get to reach more customers as you travel around with your food truck. They are still a lot of work though. Here are some food truck resources. Overall, the best way to ensure your success as a franchise owner is to have a strong relationship with the parent company so that you both are working hard to ensure not only the success of each individual location, but of the overall brand. Call Zac’s Burgers today to learn more about all their franchising opportunities as well as tips on how to find the right franchising opportunities in Philadelphia.